Missing_Alina_IMG_8701_RU Missing Alina. With “Missing Alina. Three head-shaped ceramic vases with flowers. After the exhibition « Alina Szapocznikow : Sculpture Undone, 1955-1972 », WIELS, Brussels, 2012 ; curated by Elena Filipovic and Joanna Mytkowska, scenography by Kwinten Lavigne“. After the exhibition « La simulation » - curated by Damien Airault, Treize, Paris, 2012. Jagna Ciuchta (Poland) is a multidisciplinary artist who lives and works in Montreuil and Paris, France. Ciuchta's wide ranging protean practice is process based and deals with issues of display, art institution, representation, originality, archives and documentation relating to her own work, as well as collaborations, invitations, subcontracting other artists or even including their arts works. She is interested by the meaning of exhibition/exposition (as to strip, to be exposed to external effects) applied into the situation of being an artist. During her residency in New York, Ciuchta will pursue her research around forms generated by the notion of exhibition and display, and create a new body of sculpture, photography, installation and performance for her ongoing project "Missing Alina"around the exhibition « Alina Szapocznikow: Sculpture Undone, 1955–1972 » that is currently on view at MOMA, NY. The point of departure of "Missing Alina" is a series photographs realized by Ciuchta during the traveling Szapocznikow exhibition at WIELS contemporary art Center (Belgium) - prior to its MOMA iteration. Jagna Ciuchta graduated as a painter from the Academy of Fine Arts in Poznań, Poland and has participated in residency programs such as Dream Seminar II (directed by Susan Hiller) at the Fondazione Antonio Ratti, Como, Italy (2011). Recent shows include «La Simulation» at Treize, Paris (2012), «Stratégies des Espaces» at CAC le BBB, Toulouse (2012); «The Canary Murder Case», Galerie BIEN, Paris (2009); «Water Walk», Maison des arts Georges Pompidou, Cajarc (2010). 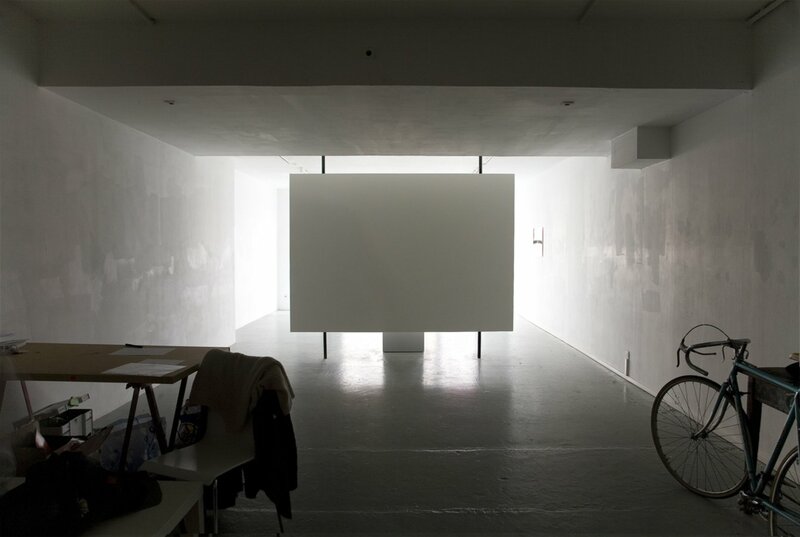 Ciuchta's 3 months residency (January through March 2013) is inscribed within an artistic research project funded by CNAP (Centre National des Arts Plastiques), France as well as a grant from the Ville de Montreuil (France).